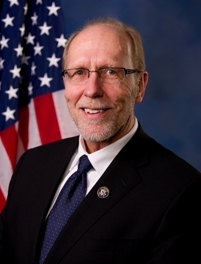 Seven-term Democratic U.S. House member Dave Loebsack announced he would not run for another term from Iowa’s 2nd Congressional District in the 2020 election, opting instead to retire at the age of 68 at the end of the 116th Congress. A former professor at Cornell College, Loebsack is second in seniority to nine-term Republican Steve King in Iowa’s U.S. House delegation. Loebsack’s quiet exit into retirement may not be noteworthy but it is unusual when mapped against the departures of his fellow U.S. Representatives over the decades. Since 1970, Iowa has had 25 different U.S. House members leave the chamber. 11 incumbents lost the general election: Republicans John Kyl (1972), Wiley Mayne (1974), Bill Scherle (1974), Jim Leach (2006), Rod Blum (2018), and David Young (2018) and Democrats Edward Mezvinsky (1976), Michael Blouin (1978), David Nagle (1992), Neal Smith (1994), and Leonard Boswell (2012). With Steve King drawing many primary challengers for his 2020 reelection bid, the most seasoned U.S. Representatives serving Iowa at the convening of the 117th Congress may be freshmen Cynthia Axne and Abby Finkenauer (assuming they win reelection or are not coaxed into challenging Joni Ernst). That would give Iowa its greenest U.S. House delegation since the 19th Century. Prior to 1970, it was much more common to see U.S. Representatives leave the chamber without running for reelection or another office, with 18 doing so from 1908 (the dawn of the primary era) through 1968. Loebsack’s 2nd CD is one of three in the state with just a 1-point partisan tilt (+1 Democratic) as measured by Charlie Cook’s Partisan Voting Index. 5 Comments on "Loebsack to Quietly Exit US House"
1. “…Todd Young (2018)…” He is still in Congress, specifically the “upper chamber” – from another state, no less! 2. Loebsack might have decided to continue his tenure were he (still) the lone D in the congressional delegation; at least this report does not cite appointment (state or federal administration, or private sector), scandal, or health as cause for his exit. Ah, yes, David Young (not Todd…or Hiram, Horace, Pierce or any of the other 30 Youngs to have served in the chamber). Thanks! Three of the incumbents who lost re-election did so in redistricting years when they were paired up with fellow incumbents after Iowa lost a seat. Kyl lost to Smith in 1972, Nagle lost to Nussle in 1992, and Boswell lost to Latham in 2012. 3. 2001-02: Had Greg Ganske chosen to stand for re-election in the Des Moines-based seat (rather than challenging Harkin) there presumably would have been an additional general-election ‘casualty’ – either him or Democrat L Boswell [ Though the state did not lose a seat – unlike 1972, 1992, and 2012 – it underwent a maasive redraw for the central and western regions, to reflect the eastward in-state migration; neither likely would have sought re-election in the then-brand new sprawling Western Tier seat, and the SE, NE, and (also then-brand new or at least new-ish) N Central seats would surely have been retained by Leach, Tauke, and Latham, respectively ]. 4. “…or are not coaxed into challenging Joni Ernst” Hm, if one of them were to defeat Ernst, then she would continue to be a “Congress woman” at the start of the 117th, but she then would forfeit the chance to be “the most seasoned” IA US representative [ Each needs to re-election to US House, period! ]. 5. Oops, I meant to say Nussle, not Tauke (my bad).